On the first day, there was light. On the second day, there was an immaculate conception of sound. Comprised of beautiful plucks, heavenly pads, emotive compositions, and enough punch to shift and shape the ground beneath your feet. Get your hands on the sickest beats, mind blowing, soul gripping leads, the clearest pads, and bass that will send a shock wave up your spine. Inside you will find 6 loaded Construction Kits that contain FLP project files, and over 580 WAV/MIDI samples, and FL Studio Presets. Mix and match any of these loops to build your own professional quality tracks. Construction Kits are a great tool for producers who demand quality loops right out of the box as well as beginners who are learning the elements of building a great track by using pre-designed loops and sounds that are already mixed and shaped to perfection. Already have your own ideas in mind, but love the sound in this pack? Then you will love how we have included one shots and presets we used to create this pack. 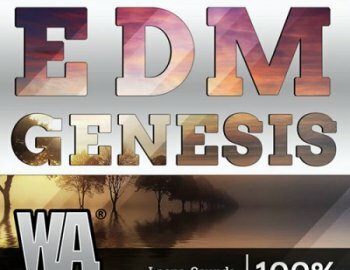 Get EDM Genesis from W. A Production and you’ll get more options, more possibilities, and more ways to build your mix. Inspired by artists such as Dimitri Vegas & Like Mike, Hardwell, Timmy Trumpet, Martin Garrix, Blasterjaxx and more.